This year has been a whirlwind! We have been charging through the licensing process and are in the home stretch. My applications have been sorted, signed, collated, stacked, amended, e-mailed, snail mailed, scanned, and faxed. Now we play the waiting game… Anyone who knows me is aware that patience isn’t my strong suit. In the meantime, every waking hour of the past two months has been spent organizing and assembling the distillery (hence the lack of blog posts.) I’ve taken up welding, flooring, plumbing, engineering, and tactical forklift maneuvering. Under construction: welding, flooring, plumbing, engineering, and tactical forklift maneuvering. 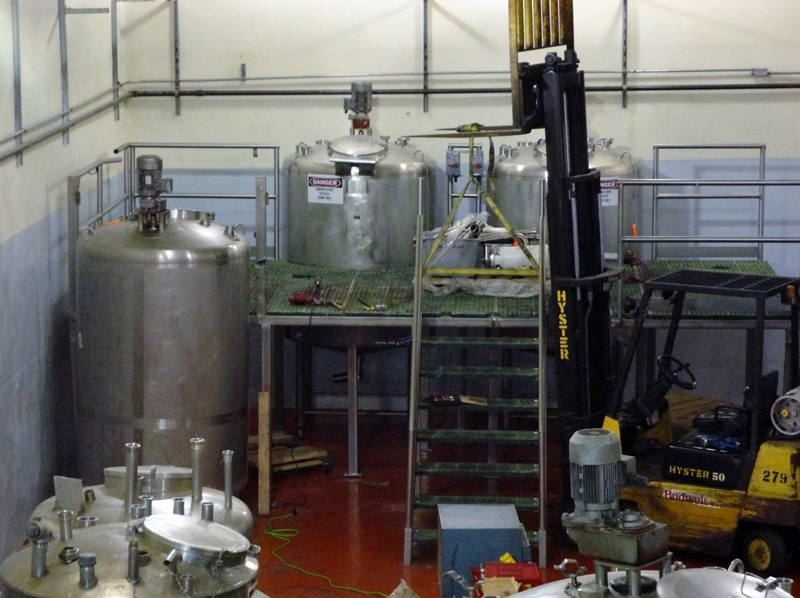 Once the tanks were moved into place, I constructed a stainless steel mezzanine. 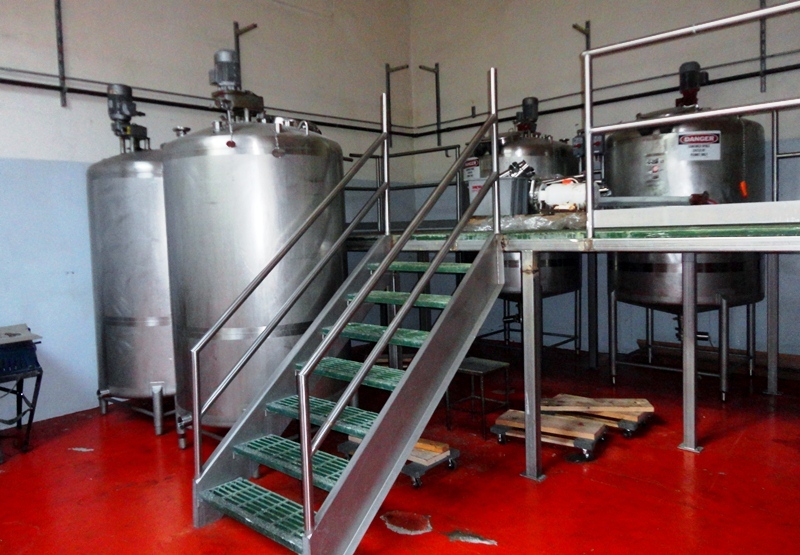 The elevated platform will allow me to access the manways of each tank throughout the fermentation process. The pallet racks are up and filling quickly. On the branding side of things, our first label is nearly complete and I’m anxious to submit the final proof for TTB approval. Completed mezzanine with 600 gallon tanks. I’m currently waiting to hear back on a final condition from the TTB to complete my federal permit. Once my federal permit is granted, the Washington Liquor Control Board will issue my state permit. These licenses will allow me to start distilling immediately. I’m hoping to achieve this final step by the end of next week. Stay tuned for permitting information and the announcement of our first offering. Trust me; it will be worth the wait.